Many of you saw this on my Facebook a while back, but I thought I would just add it to the blog so everyone could see it. It’s kind of difficult for me to come up with ideas out of complete nothingness, but if you give me just a little something to work with, my gears will start rolling. 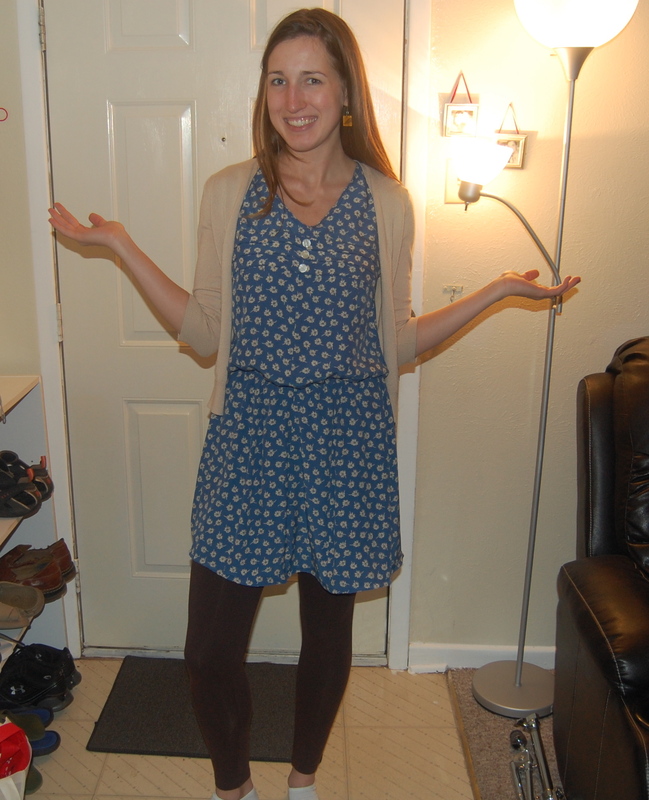 My good friend Sarah (Pieceful Joy blog) showed me this blog called New Dress a Day. 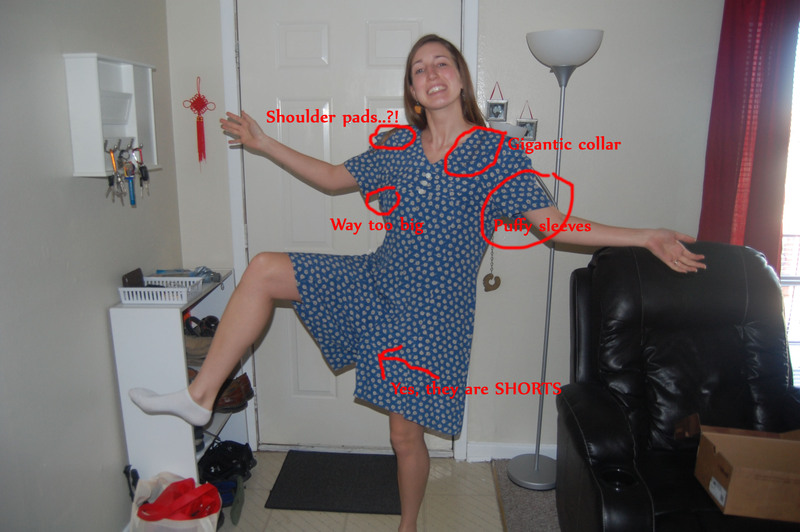 I used to occasionally reconstruct clothing, but I was inspired to go do it again. I hit the local thrift store with $3, and this is what happened. With a sewing machine, some scissors and a seam ripper (not to mention a big imagination…), I ended up with this. No shoulder pads, no sleeves, no collar, no shorts, and it fits just right. I’ve got a couple other outfits in the queue… who knows how they will end up!